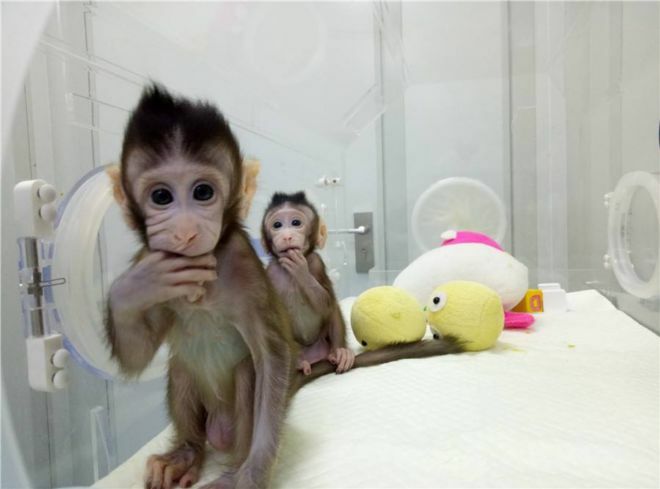 Meet Zhong Zhong and Hua Hua, two macaques cloned by China, first of its kind in the world. 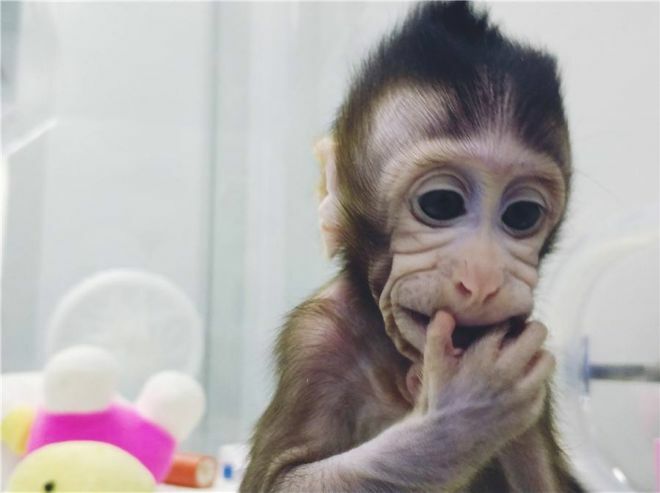 A third cloned macaque is due this month and more this year. 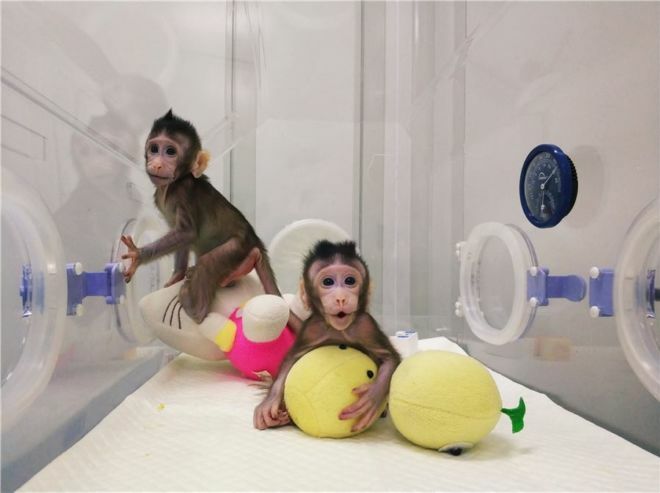 They are the product of somatic cell nuclear transfer, a technique used to create Dolly the sheep over 20 years ago. 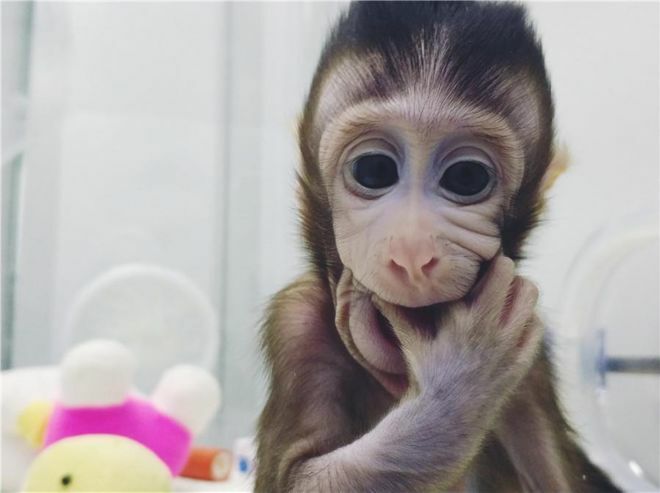 The clone babies are currently bottle-fed and are growing normally compared to monkeys their age.